Sometimes time and life conspire against one another. You start focusing on one, then miss the other or it just slips by in greater and greater increments. In any case, we’re still here and it’s about time I caught up on some new tunes. Even though it’s 11 days old, it’s brand new in my heart. Mako’s The Shot Off on Warm Comms’ 40th release is easily my Tune of the Day…and more like the week. It will get a good caning in the car on my way to pick the kiddo up at daycare. I’ve got the coolest music taste of any parent in that parking lot…Bar none. 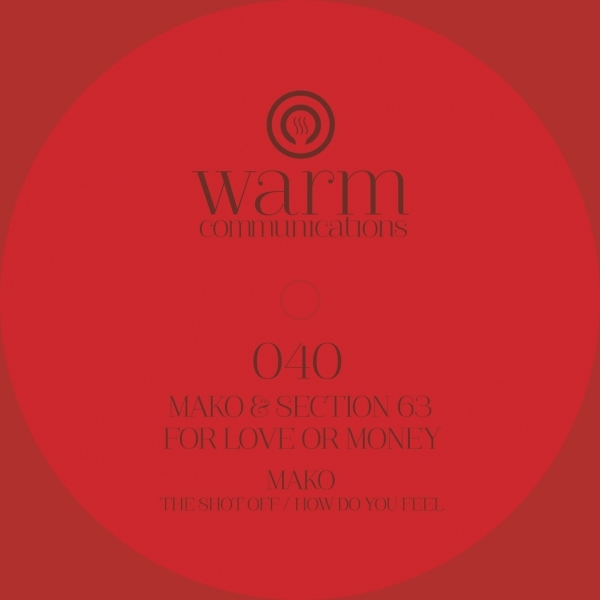 Mako – The Shot Off/For Love or Money/How Do You Feel is available now from Warm Communications.